Home insurance policies around the world are based on the same set of principles. But they are adapted based on the geographical conditions and other physical factors. Calgary has a very distinct weather and real estate market. These two factors largely influence the home insurance terms and rates. Calgary has experienced rapid economic growth, the influx of more people and development of new residential and commercial areas. Unfortunately, the city had to bear the brunt of extreme weather conditions. The June 2013 floods resulted in massive losses to homeowners. Wind, rain, heavy snowfall, snow melting, rising river levels and floods are some of the common weather-induced catastrophes the city has witnessed. 1. Flood coverage: A traditional home insurance policy typically covers roof leakage from wind and hail and also plumbing-related issues occurring due to floods. But it doesn’t cover you in case the sewage water is getting pushed back into your house or if melted snow or rain enters your home. Living in a high-risk locality would increase the costs. But if you live in a locality where there is no risk of such problems, you could save on the premium costs. 2. 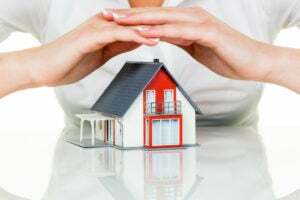 Tenant insurance: The tenant or renters insurance is applicable for people who live at the home owner’s residence in exchange for a certain fee. The tenant insurance only covers your contents if they are damaged due to fire or theft. It also covers additional living expenses if your accommodation becomes unavailable to live due to fire or flood. Tenant insurance coverage and premium can be further lowered if you do not possess many valuables. 3. Homeowners’ insurance: The homeowners’ insurance covers the entire home including its exterior, home infrastructure. It also covers theft, fire, earthquake etc. Homeowners’ insurance is more expensive compared to that of a tenant. If you need a homeowners’ insurance, look for optimum coverage to cover real risks and not perceived risks. 4. Educational institutional discounts: Home insurance companies usually offer students a good discount. There are cases where students who live in their own accommodation can be covered under their parent’s home insurance at no extra cost. Some universities also provide discounts to their alumni. Even unions and professional organizations may offer discounts provided to members. 5. Security system: A mechanized security system along with a security guard can make your house more secure. The system can be designed to protect from the problems associated with fire, flood, wind, theft etc. A home security system could bring down your premium. 6. Avail of the best deal: Home insurance companies offer attractive deals to their customers to entice them. Get quotes from various home insurance companies online, compare the reviews, terms, and rates. Choose the best deal that covers the different risks that could affect you and also has good premium rates. Getting home insurance from a direct insurer representing the insurance company can reduce premium costs. Beneficial Insurance Solutions is a Leading insurance broker In Canada, that provides the guidance about how to find Home Insurance Calgary Alberta and Cheap Car insurance.